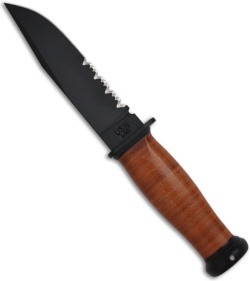 This Ka-Bar Mark I is a replica of the USN MK 1 knife from WWII. 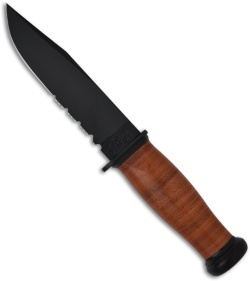 It has a 1095 Cro-Van steel blade with a black finish and partially serrated edge. The leather handle is ergonomically shaped for stellar grip. 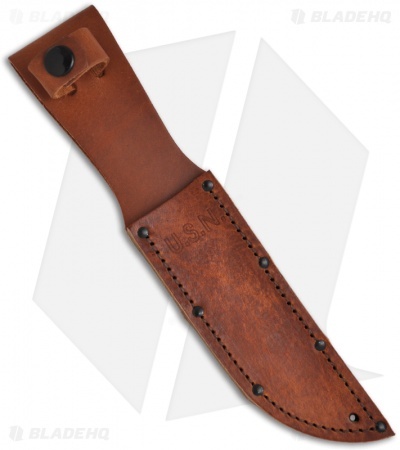 This knife comes with a leather sheath for belt carry.